Would Nature not tend instinctively towards symmetry? In our eyes, symmetry often spells equilibrium, a source of beauty. Consider the work of architects, or engineers. Houses, skyscrapers, bridges and dams are usually symmetric which is not only, and in a mysterious way, emotionally reassuring but also in keeping with the laws of physics. In the same vein, a face that strikes us as being attractive is a face whose sides echo one another. Anything that drifts from these unsaid boundaries strikes us as being odd, if not ugly: think of the Elephant Man. Despite this, life is defined by an underlying lack of symmetry. In fact, Nature frequently seeks a way to break symmetry. Take humans: our heart is not symmetric, neither is the arrangement of our organs inside us, and our brain hemispheres are involved in very different aspects of intelligence. Why has Nature chosen asymmetry? And how does it occur in the first place? The field of research is relatively recent and the answers to these questions are still far from satisfactory. However, we do know that a certain form of myosin, known as myosin 1D, is directly involved in paving the paths of asymmetry in zebrafish. Tales From A Small World is a collection of the first hundred articles which originally appeared on this site. 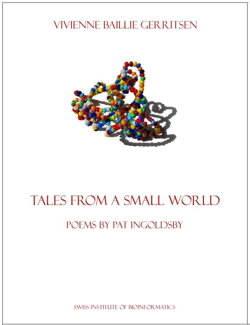 Published in September 2009, the book is enriched by poems from the Dublin poet, Pat Ingoldsby. Learn more and order your copy online. « Globin and Poietin set out to save Lily's life. But time is running short and they can't find the marrow... 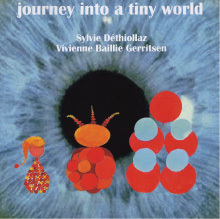 Here is the tale of their courage, fun and laughter on a journey that takes them deep into the tiniest of worlds.» For children. Learn more and order your copy online. In the summer of 1935, a young man was enjoying a stroll along the shores of Haymen Island off the coast of Australia when he tripped over an attractive – but live – cone shell which would have made an excellent paperweight back home. Such a destiny, however, was not to the shell’s taste and it retorted by stinging the man’s hand. Numbness, stiffness and soon paralysis of the victim’s limbs occurred before he became unconscious and dropped into a deep coma followed by death within the space of five hours. As for the cone shell, despite its rather strong protest, it didn’t gain its hoped-for freedom and was shipped back to the mainland. A little bit of praise! “I recently stumbled upon your columns. Let me congratulate you on achieving the near impossible, for your articles have enabled me to successfully marry IT with the Life Sciences and better explain the concepts of bioinformatics to those who are not in the know of the field. Your articles are very well written, lucid, and contain just enough information to excite the reader to want to learn more about the topic being discussed. They fall in a very rare category where they are accessible to everyone, from the undergraduate students to research students who want to have a basic idea of the topics being discussed. Some of your articles, like "Our hollow architecture" and "Throb" are outstanding pieces. 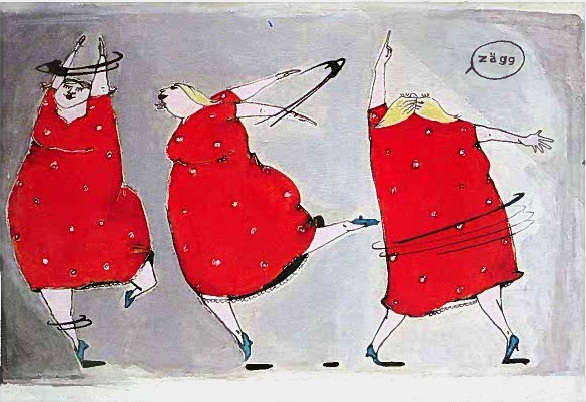 Thank you to Isabelle Kurmann whose work we reproduce on our site!